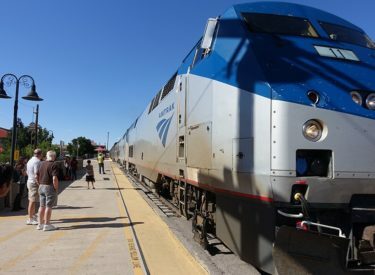 Amtrak officials say its Southwest Chief route, which stops in Topeka, Newton, Hutchinson, Dodge City and Garden City, will continue to operate as normal for at least the next year. Republican U.S. Sen. Jerry Moran of Kansas made the announcement Wednesday in news release after a hearing before the Senate Commerce, Science and Transportation Committee. The Southwest Chief line runs for 2,300 miles between Chicago and Los Angeles. Amtrak officials said in June they were considering using buses along the route in parts of Kansas, New Mexico and Arizona. Moran said during Wednesday’s hearing that Amtrak officials committed to continuing operation as it currently is along the entire route at least through the current federal fiscal year, which ends Sept. 30, 2019.